Manchester: Pep Guardiola must decide how to shuffle his Manchester City line-up for Wednesday's visit of struggling Cardiff to the Etihad, with an eye on the weekend FA Cup semi-final against Brighton. But Portuguese playmaker Bernardo Silva has emerged as the one player who is an almost automatic selection, despite the embarrassment of riches and depth Guardiola possesses in his first-team squad. Signed from Monaco for £43 million ($56 million) two years ago, the 24-year-old took his time to adapt to life in the Premier League, in one of the most expensively assembled squads in the history of the game. 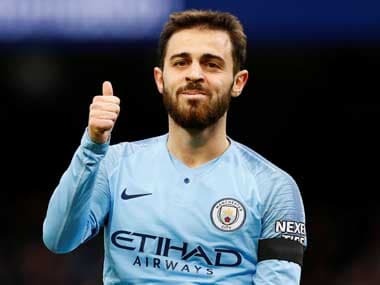 In his debut season Bernardo started just 15 league games, coming on as a substitute no fewer than 20 times in 38 matches as Guardiola allowed him to gradually get used to a different style of football. But that approach and handling has proved, not for the first time in Guardiola's managerial career, to have been a masterstroke. 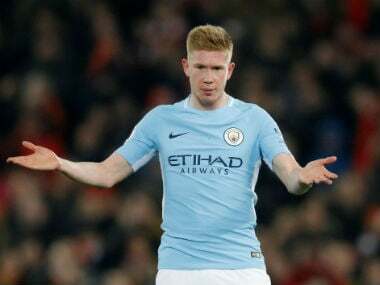 With Kevin De Bruyne's season badly curtailed by injuries, Silva has stepped up to the challenge with impressive consistency, his latest telling contribution coming with a goal in the comfortable 2-0 win at Fulham that returned City to the top of the Premier League for 24 hours, above Liverpool. Of Guardiola's outfield players, only defender Aymeric Laporte has started more games than Silva (27 compared to 26). But Bernardo's four substitute appearances mean he has appeared in 30 of City's 31 league games to date, meaning only ever-present goalkeeper Ederson has made a bigger contribution to his club's title defence. City forward Raheem Sterling and Liverpool defender Virgil van Dijk appear to be the frontrunners to win the player-of-the-year honours this season. But Bernardo has also made a compelling case to be considered for an individual award with a season of breathtakingly high quality. "What Bernardo has done this season is a consequence of the way he accepts his role," said Guardiola after another starring role at Craven Cottage. "He works so hard and the rewards are there. Right now with the way he plays I cannot do anything else but put him on the pitch and let him play. He's so important for us. What he's done for us is the best." Bernardo’s excellence is bad news for Leroy Sane, the German international who was so effective last season, and Riyad Mahrez. Former Leicester forward Mahrez, in particular, has been a major disappointment and little more than a bit-part player in City's potentially historic season as they chase a quadruple. Wednesday's rearranged fixture against Cardiff is City's game in hand over Liverpool and offers the chance to move back to the top of the table after the same number of games as Jurgen Klopp's side. City face an anxious wait on striker Sergio Aguero, who limped off injured against Fulham with a hamstring problem and may be rested against Cardiff.